If you are interested in hosting a Prayer for Peace. Churches are needed to host a peace service on the 22nd of each month, January through June 2004. Justice For DC Youth Coalition: A coalition of youth, youth providers, policy advocates, parents and concerned residents who are working for a more fair and effective youth justice system in the District. · 100% of the youth locked up in Oak Hill are Black and Latino. This is NOT representative of DC youth demographics. · It costs over $50,000 to lock-up a youth in DC, while we spend less then $12,000 to educate one in DC public schools. · Taxpayer dollars could be better spent more effectively on community based alternatives-to-incarceration. Town Hall Meeting: THE GENEVA ACCORD: BASIS FOR MIDDLE EAST PEACE? contact Josh Ruebner at josh@jppi.org 202-423-7666. CONTACT: Rev. Eileen Goor 703-455-6669. Health Care Workers Support Health Care for All! Join us in a spirited street theatre demonstration in front of the offices of Bechtel and Halliburton during lunch hours. The action is part of an international day of protest to end the corporate invasion of Iraq and to support Iraqi worker’s rights. Join peace and labor activists in 23 cities nationwide for an international day of protest against Halliburton, Bechtel, and the other corporations that are making money hand over fist in Iraq. These companies were awarded millions in “reconstruction” contracts, but nine months into the occupation Iraqi schools are still in disrepair, electricity is intermittent, and the water is not safe to drink. All this while highly skilled Iraqis are robbed of jobs and the right to unionize. Speak out for Iraqi workers’ rights and self-determination. 1:30 pm, Halliburton (1150 18th St. NW (between L & M). contact Pat Elder 202-302-5548 or Gael Murphy 202-412-6700. Hundreds of thousands set to protest cuts in benefits and services on March 4th. Hundreds of local unions, retiree groups, and grassroots community organizations are mobilizing for a nationwide “Health Care Action Day” HCAD. Co-Sponsored by: Global Justice, Inc., Let Haiti Live: Coalition for a Just U.S. Policy, Black Voices for Peace and Washington Peace Center. Contact: 10th DEPARTMENT ORGANIZATION FOR HAITIAN EMPOWERMENT (10th DOHE), 202-452-5511 or info. Film: The Revolution Will Not Be Televised. United for Peace and Justice calls on you to deliver the message and power of the “World Still Says No to War” global actions to your members of Congress. Schedule a face-to-face meeting with your elected officials for, , to press Congress to take action to stop the suffering in Iraq. Schedule your appointments today unitedforpeace.org Contact: 212-868-5545. Report on the demonstration in NYC! If you are not going to NYC, your presence and support is needed in Washington, DC to support Haiti’s constitution and democracy during this time of crisis. Start West 17th and Constitution Ave.
Three women - Christian, Muslim, and Jewish - who are living the realities of the Israeli-Palestinian conflict will share their experiences and hopes for a just peace. This is a unique opportunity to hear the personal side of this painful conflict from women -- Nahla Assali, Nuha Khoury, and Michal Sagi -- whose lives have been shaped by the ongoing violence and occupation. See: www.partnersforpeace.org. Contact Azad Ejaz, 301-526-3817 or azadejaz@comcast.net or (202) 863-2951 info@partnersforpeace.org. "Towards a Common Struggle: Organizing a National Young People's Movement"
A national conference for young people. We are anticipating 600 young people will take advantage of this opportunity and trust that you will be amongst them. This conference is part of an ongoing process. In August 2001, a Youth Summit was held with approximately 600 delegates from around the world to share their common stories of struggle, and to develop strategies aimed at ending racism and discrimination. This conference is open to all young people between the ages of 13 and 30 years, regardless of ethnicity, gender, religion, sexual orientation or creed. See: www.noacentral.org. Contact: Abbey Glenn, National Organizers Alliance (NOA), 715 G St SE, 202) 543-6603 x3 or abbey@noacentral.org. US-HAITI Relations Past & Present: A Fact Finding Mission! MoveOn.org Launches Plan to Raise $50 Million to Defeat Bush! "$50 million sounds like a lot of money, and it is. But if we can get 500,000 people -- 1/4th of the MoveOn base -- to give $100 each between now and the election, we'll make it. The details are below; it's clearly the most ambitious thing we've ever attempted. But MoveOn's never set a fundraising goal we didn't meet, and if this election isn't a time to pull out all the stops, we don't know what is." 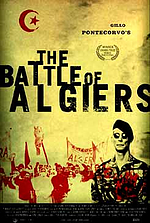 FILM FESTIVAL DOCUMENTARIES ON MIDDLE EAST. Could the war of the next century be over water rather than oil or politics? Demand for this most basic of resources is outstripping supply in some parts of the world. Public Citizen, the Earth Day Network, and The G W Univ. To form a delegation you only need 20 people and a contact person. Please go to www.marchforwomen.org today and sign on as a cosponsor, and then go into your account and form a delegation. The 19th Annual Maryland Peace and Justice Conference will be held on Saturday, May 1, 2004. Put it on your calendar now! The theme will be "Mayday! Mayday! Our Rights in Jeopardy" (Kinda catchy, don't you think, and sadly appropriate?) Paulette for the Organizing Committee Takoma Park Presbyterian Church. Cafe Mawonaj will be hosting different cultural groups, including Dancers From South Africa. Come Hear and See for yourself this spectacular presentation. They are only here for a few days so be sure to bring your family and friends. We are asking a donation of $5.00 or more to benefit an AIDS orphan’s project in Africa.Its a place you can come to enjoy good healthy food, organize or just relax with our wide selection of healthy drinks and smoothies everyday. We do host events, catering and sponsor community activities. While you are here, enjoy FREE Wireless DSL Internet available for yours to use. Just bring your laptop. Call 202.460.5928 for more scheduled events. Call 202/483-5236, 301/257-6157 or 301/933-6194. Politicians may express shock over the photos emerging from Abu Ghraib Prison, but those with a first hand knowledge of the U.S. armed forces and the prison system are all too familiar with such brutality. When Lou Plummer left military service, the only decent job he could find in his North Carolina home town was as a corrections officer. After 8 years, he walked off the job in disgust at the racism he witnessed in America’s prisons. Shujaa Graham was only 19 years old when he was sent to prison in California in 1969. Behind bars, he became a leader in the prisoner rights and Black liberation movement. In 1973, a corrections officer was killed during a prison fight and Shujaa was railroaded for the crime and sent to death row. He spent 4 years there until he was exonerated and released. Two men, one Black one white. One a former prison guard, one a former inmate. They will join socialist activist Virginia Harabin in a discussion of occupation, the criminal justice system, and resistance. To send a national capital area youth to Hiroshima and Nagasaki Japan. Opens in DC and Maryland! 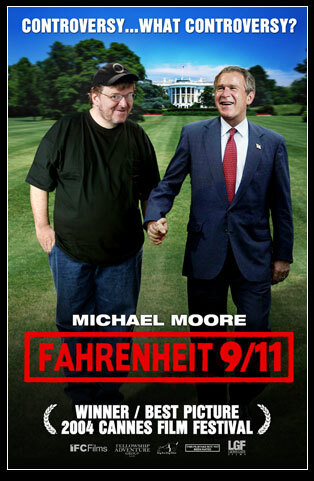 Fahrenheit 9/11 is being attacked on all the network news shows, especially MSNBC and FOX. It has struck a nerve, and deserves to be seen by all, especially anyone who has become cynical or disheartened. Take a neighbor or two! If you want to know and prepare for all the diversionary slime that the right will be using against this film and its goal of unseating Bush, you can check out the neo-rightist Hitchen's intellectual diarrhea posted on FrontPage, He has been the main hatchet man on MSNBC, CNN, etc. Check out info on Moore's web site. Or do a Google Search! Avalon Theater, Wash. DC - and other locations in this area. Print this leaflet to distribute at the showings! Use the "Print What - Documents & Comments" setting. Reception follows from 6 to 8 pm at the Blackburn Center. Celebrate Marx Vilaire Aristide’s life and contributions to Haiti and the Washington, DC community.As many of you know, Marx passed away on June 20, 2004 as a result of a tragic car accident. His funeral was held in Brooklyn, New York on the 26th of June in the presence of several hundred family members, friends, and well wishers. Meet others in the peace movement and find out how you can get involved. Families are encouraged to attend. There will be activities for children. 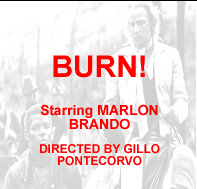 BURN is being shown at this time of increasing US attacks and threats on Iraq, Haiti, Cuba and other countries because BURN is one of the few US films that reveal the drama of how colonialism and imperialism conspire in the Caribbean and the Americas. One block from Shaw-Howard Metro. Members of Ruckus hung a 2400 square foot banner that had two giant arrows pointing in opposite directions. The top arrow said TRUTH; the bottom one said BUSH. This was truly a nonviolent shot heard round the world. 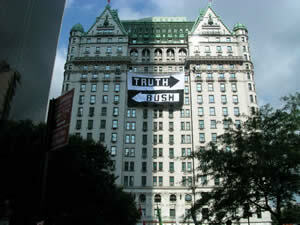 We're already looking ahead to our next major mobilization: Sunday, August 29th, when the world will say no to the Bush agenda on the eve of the Republican National Convention (RNC) in New York City. Leaflet of CCDS which will meet from 8 am to 10 am on 21st Street, between 6th and 7th Ave.
Música, Menú y Mojitos cash bar!! As part of the 2nd bi-annual conference of 2004! And...of course.... Salsa!! Until you drop!! "Volunteers Meeting" on Friday, October 15, 7 P.M.There will be work sessions throughout Saturday. The Pre-Rally and entertainment will begin at 10:30 am. St. Stephen Church, 1525 Newton St. NW. The classic and controversial Vietnam era documentary "Hearts and Minds," which won an Academy Award in 1974, has just been re-released in selected theaters and for group shows on DVD. There will be a SPECIAL ADVANCE SCREENING with discussion with the film's director, Peter Davis and, Political Activist Daniel Ellsberg and Vietnam Veterans of America Foundation President Bobby Muller IN PERSON for a post-screening discussion! Information. OCT. 17 2004, WASHINGTON, D.C.! Jobs & Workers' Rights- Not War! On Oct. 17 in Washington, D.C., you will have a timely an historic opportunity to unite the anti-war movement with an unprecedented and vitally necessary mass march of working people speaking for themselves. This is a rare opportunity and the latest casualty numbers from Iraq show that it could not come at a more critical time. We cannot and must not rely on the elections in November to stop the war. We must raise our voices loud--not after the elections--right now. The Lincoln Memorial, Washington, DC.